Now, those figures come from Wikipedia, the website where you and I can edit entries, so take it for what it’s worth, but you get the idea. Video, more importantly, native Facebook videos are hugely important to you’re a small business, brand or blogger wanting to have people stand up and take notice of what you have to say. Social Media: Follow me on Snapchat (username: jawavifilms) for daily updates on video tips and tricks! This article doesn’t have anything to do with the art of capturing your video. 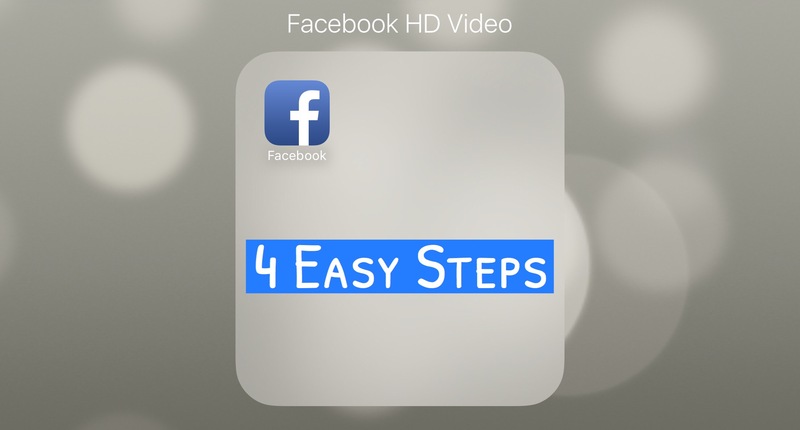 It is more focused on trying to do the little things right after you’ve taken and are satisfied with the video you want to upload, specifically making sure your Facebook video is optimized for HD playback. 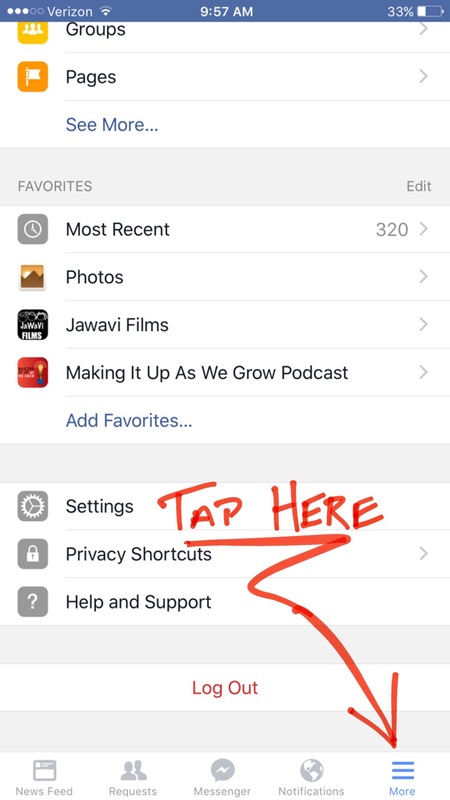 It’s a simple step that so many of us fail to check before we begin uploading and sharing videos. 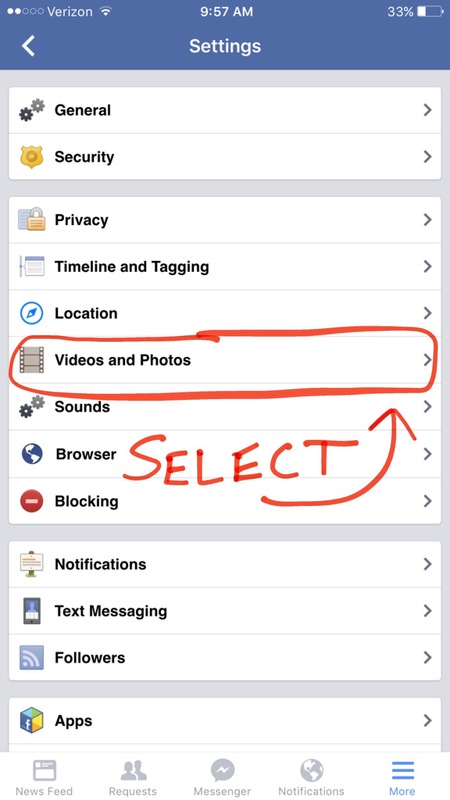 Open your Facebook mobile app. Turn your eyes to the bottom right button, the one with the three horizontal bars and select. 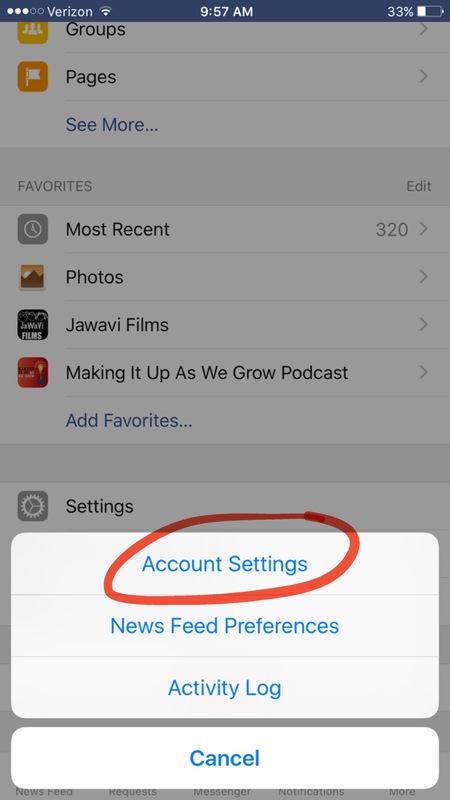 A box will pop up and you will select “Account Settings”. Yeah, select that one. Next, search for the Videos and Photos tab and tap. If your screen does not show the radio button next to “Upload HD” is turned on, slide the button to make sure it is green and you’re done. See, it’s easy to do. With the advancement of smartphone and camera technology, you’d be hard pressed to find many that do not automatically record video in high definition. Plus, we are all spoiled in viewing videos and even pictures in the best possible resolution. How can you tell to make sure your post uploaded correctly? When your video is playing back, make sure the little HD button on the bottom right of the playback screen is there. You might wonder if you in fact posted your video correctly because the resolution could look less than high definition. 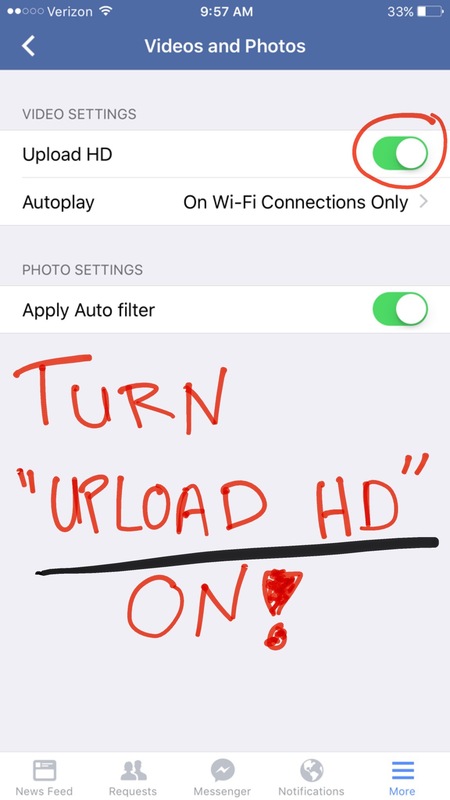 Tap the HD button and it should then look as crisp as the footage you captured on your phone. This option is there for the viewer’s convenience to playback the video in HD or not based on speeds of their connection. So congratulations, you did it and it took you all of 30 seconds to make sure the time you spent in creating a great branding video for your company, blog or otherwise is seen as you intended. Update: I am now creating unique Snapchat stories of past blogs and new material that will help you understand and take better mobile videos yourself. Follow me on Snapchat by searching, Username: jawavifilms. Ep. 002 | Facebook Video HD (Snapchat) from JaWaVi Films on Vimeo. This works on an iphone, but for the life of me I can’t figure out how to do it on an android! The same options just aren’t there, and my videos look horrid when I post them! Hi Wes. That’s strange that the app wouldn’t have that option. It’s an extra step, but you could always save the video to your computer and upload it that way. Not ideal, but I have never used an Android phone. I wish I could help you here. I’ll check around online to see if I can find you a solution. Thanks for the comment.